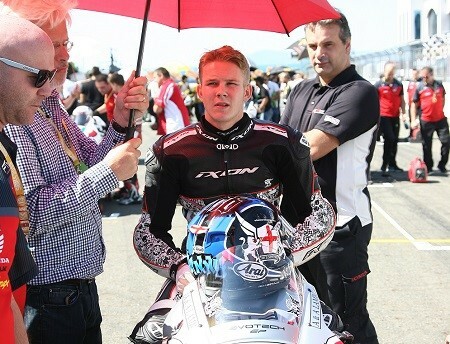 As you may remember, earlier on in the year we announced our upcoming sponsorship with Danny Webb by publishing an interview with the British Super Sports star before the first big race of the season. Danny had a great competition in the British Super Sports championship – finishing in the top seven in every race – and is now preparing himself for the rest of the year and his upcoming races. Being only seconds away from 4th place in his best race during the British Super Sports championships has meant that with an increased focus and intense training, Danny is well on his way to a poll position at his upcoming races. For many years the Isle of Man TT race was considered the most prestigious motorcycle race in the world and was once part of the FIM Motorcycle Grand Prix World Championship before it was transferred to the United Kingdom amongst safety concerns. Between 1977 and 1990 the Isle of Man TT races were also part of the TT Formula 1 Championships in an action to preserve the status of the famous race. Since then the race has been maintained by the Isle of Man Department of Tourism and is held in May or June of each year, traditional concluding with the Blue Riband evert the prestigious Isle of Man Senior TT race. For many serious riders, riding at the Isle of Man TT race is seen as one of the most prestigious races to be invited to take part in, and often a highlight in most rider’s careers. Here at National Pallets we’re proud to be sponsoring Danny through another exciting and unpredictable race. As usual we will be routing for Danny in his upcoming race and will be cheering him on at the side lines. Danny Webb was born in Tunbridge Wells, Kent on March 22nd 1991 and he made his world champion debut as a super bike rider when he was just 16 years old. His career took off dramatically in 2008 with a top five position of the entire competition – he will be riding a Kawasaki 650CC bike in his upcoming TT Isle of Man race where he is entered in the lightweight class. Follow Danny on Twitter, like him on Facebook and get tickets to his next Isle of Man Race here .